VOTED BEST ROOF INSPECTION SERVICE - Beneficial Roofing | VOTED BEST Roofing Company, Call Us Today & See Why! 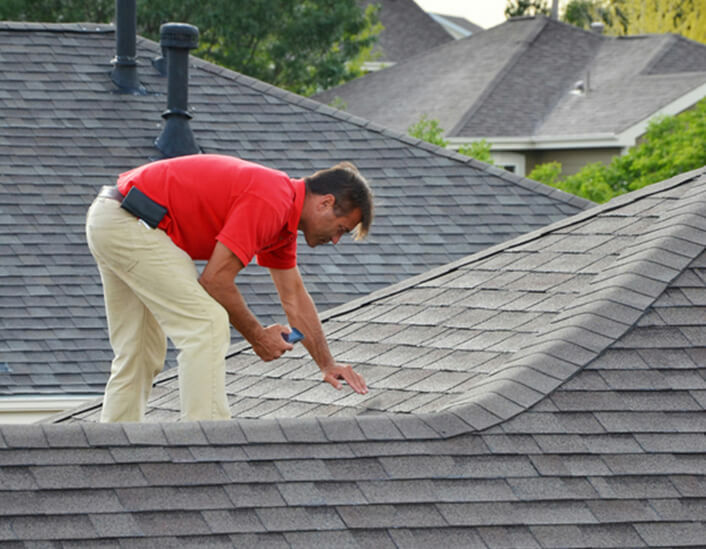 Whether you need an installation, repair, or simply an inspection, a dependable roofing company like Beneficial Roofing will be able to address your need! Our roofing contractors with a proven track record are efficient in handling any type of service that your roof requires. Most firms will offer these three basic types of services, but Beneficial Roofing is more than happy to provide these in a “brilliant” way! You can turn to roofing contractors when installing a new roof on your home or business. You can discuss the types of materials to be used and provide any other requirements that you may have. Feel free to ask about the materials available for installations. We have products that are energy efficient, and our specialists may perform installations that qualify for energy savings with utility companies. Another important consideration in a new roof installation is the timing: you will want the roofing team to be ready at the appropriate time so your project can stay on schedule, and will be done on your expected completion date. In the case of completely replacing an existing structure, you’ll need to know the general amount of time it will take to strip the old materials off and then to install the new materials so you can plan accordingly. Rest assured that with Beneficial Roofing, your roofing project will be completed in the timeliest manner! Have a leak or two? You may want to have your roof repaired before it becomes a larger problem. Our experienced team will be able to accurately diagnose the cause of your problem, so the issue is fixed—and not simply covered up. Make sure you understand how much of the repair they will take care of and some of the thing that are needed to be addressed, such as a rotting attic floor or damaged ceiling tiles, etc. We will do our best to work you into a schedule that takes care of a problem before it becomes a major issue. If your roof is already in a hazardous state, we have the ability to accommodate emergency situations, with an additional, but reasonable cost. Take time to understand the company’s policy for guaranteeing the roof work or covering any other damage the workers may cause while completing the repairs. Also, ask about their policy for working with insurance companies. Many repairs are caused by damage which is covered by your homeowner’s policy, so you want to be sure they have experience with insurance claims. Feel free to ask for any questions or clarifications and we at Beneficial Roofing will provide you with all the information that you need! We provide efficient inspection services that you may need for insurance claims or simply for regular preventative care. As part of the service, we will be glad to give you suggestions on what you can do with your roof to make your home or business more energy-efficient or to allow for a better insurance premium. Regular inspections are important, as they can help identify potential problems before they become major repair issues. We may offer incentives or discounts if you commit to inspections for some years. Talk to us! Our successful projects and positive feedback from our loyal clients speak for our reputation as one of the leading roofing companies in the USA. Contact us to obtain quotes for the job that you need. We will take the time to understand your needs and offer you options based on your desired outcome and budget. Beneficial Roofing is waiting for your call !